The region of Southeast Europe with its rich history, culture and a lot of excitement, also gives the world some brilliant minds. Aleksandra (Saška) Mojsilović is a Serbian born scientist who manages the Data Science group in IBM T. J. Watson Research Center in New York. In April 2014 Saška joined the elite club of IBM Fellows, the highest honor a scientist or engineer can achieve in IBM. Since 1962 only 257 IBMers have earned the IBM Fellow distinction and about 80 of them are currently active IBM employees. Saska has authored over 100 scientific publications and holds 11 patents. 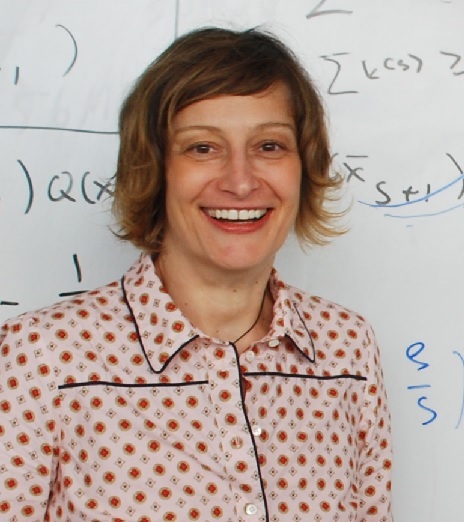 Building mathematical models of the world around us is Saška’s passion — she is relentlessly driven by a need to discover the intelligence hidden in the mountains of data and apply analytics to solve practical problems. IBM has already said that data is the new natural resource of today’s world. How important is data nowadays? Everything we do today creates data. Data means insight, it means better information and more knowledge. Data is exponentially increasing in volume, velocity and variety, and the opportunities to use data to improve all aspects of our lives are too growing exponentially. Data is the new natural resource. It promises to be for the 21st century what steam power was for the 18th, electricity for the 19th and hydrocarbons for the 20th. We are truly experiencing a new industrial revolution. Technology experts are talking about Big Data a lot. Why? The emergence of social networking, sensors, mobile devices, business data warehouses, scientific and government records creates an abundance of information. We like to call it Big Data. It comes in all forms: sound, video, images, symbols, measurements and natural language. It is changing the way we live and work, the way businesses operate and the way governments are run. And it is fundamentally changing the Information Technology landscape, giving rise to a new generation of cognitive systems that sense, predict, infer, recommend, hypothesize, and in some ways, reason. And this Big Data is set to change our lives? Consider this – every day we generate billions of gigabytes of data. And at the same time 80% of the world’s data is unstructured. Audio, video, blogs, tweets, sensors… All represent new areas to mine for insights. Data and cognitive capability are the new basis of competitive advantage. This is where “speed of insight” and “speed of action” truly become core differentiators and change the game in just about every industry and/or profession. IBM Watson is one example of a new form of computing: an advanced cognitive system built to analyze and extract knowledge from vast amounts of largely unstructured data with unparalleled speed and results. So are we dealing with thinking computers and artificial intelligence? The teams consisting of people and new generation of computers will be able to think in a way that neither people, nor computers have ever done before. This will amplify human abilities and lead to new breakthroughs, assist us in making better choices and help us navigate our world in powerful new ways. How will all this data and its analysis help the average citizen and improve his quality of life? The opportunities to touch individual lives, whether it is in Southeast Europe or remote parts of Africa are numerous. From better diagnoses and management of illnesses, more effective water and energy management, weather prediction, improving traffic flows, improved security and food safety. In order to help societies you probably address local governments first. Any takers in the SEE region? Governing bodies and public authorities can use Big Data to make their jurisdictions more efficient, more sustainable and more pleasant to live in. The Croatian government is already using an IBM IT infrastructure to provide e-government services to Croats in minutes and hours, rather than the days it traditionally required. The latest government project, e-citizens, saw the Croatian national population registry being integrated into the system along with the information systems of the ministry of finance, ministry of public administration, to name just a few. Many government processes will be optimized, such as taxes, birth, death and social security registration. This releases enormous amounts of government funds, which can in turn be directed towards other initiatives. then. How about nature – can they read its “plans”? Sure they can. I was sad to see how the Adriatic region was affected by the recent floods. I remembered immediately that just last year IBM launched Digital Delta, an innovation program that harnesses insights from Big Data to transform flood control and the management of the entire Dutch water system. True, more than half of the Dutch population is located in areas prone to large-scale flooding, but such solutions could help just about any country with monitoring and managing its water systems. Where do you want to make the most difference? There are no limits. Our team of scientists is focused strongly on improving the fields of healthcare, energy, telecommunications, education, insurance. The possibilities are endless.